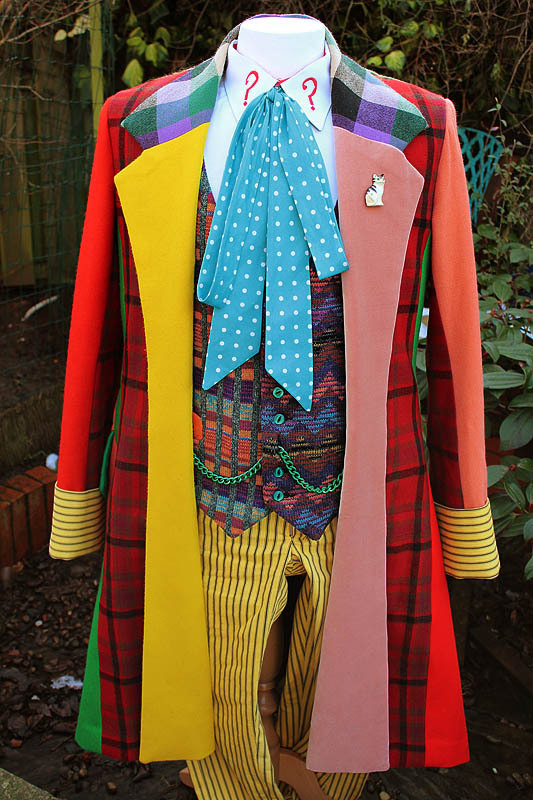 Making My 6th Doctor Costume: Haberdashery from REAL shops! I thought it was a good time to sing the praises of some of the vanishing haberdashery stores that still survive, despite the onslaught of the internet. 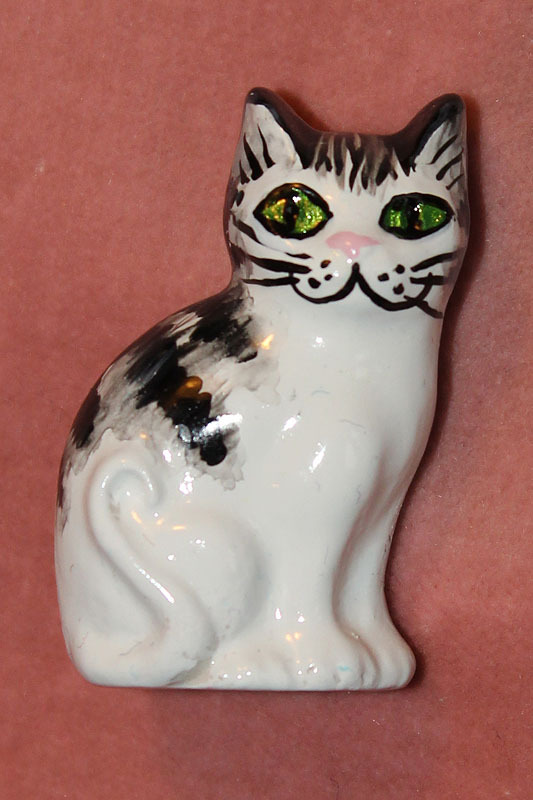 Don’t get me wrong, the internet is a great thing and makes the world just round the corner, but it has also stolen foot-fall trade away from some of the smaller retailers that stock some of the more unusual and diverse items. Haberdashery has in recent years been doubly hit. As we have progressively moved away from a society that at the least would mend-and-make-do, and at best sew their own clothes from patterns to a world where clothing designer labels rule and throwing away when things go slightly out of fashion, the call and need for stores that sell a wide ranges of fabrics has become redundant. Despite this, there is a thriving range of independent haberdashery stores out there - if you know where to look. I have been guilty of their demise too in my own way. I have sourced a number of fabrics and accessories through online retails, but I have found that some of these surviving shops can consistently come up trumps when I have need of something a little special. The first of these stores that I discovered was The Button Queen. They are located at 76 Marylebone Lane, off the north side of Oxford Street in London. They are a specialist seller, who as you may have guessed, trade in buttons! When I was searching for the perfect coat button for my Tennant Coat, I Googled and search the entire internet for a 28mm horn-style four-hold button with no luck. Everyone had a 25mm, but not a 28mm. Button Queen however, had just what I had been looking for and at a great price too. I have been using their buttons since the Mk III coat, and have been back for a repeat prescription on several occasions. I shan’t buy buttons anywhere else without going to Button Queen first! 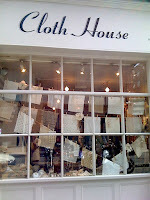 The next shop I want to tell you about is Cloth House on Berwick Street, again in London. They actually have two shops on the same street, one at No. 47, the other at No. 98, each of which carries a different type of fabric. I personally love the shop at No. 47 as it stocks a more rustic and heritage style of fabric. This was where I got my pillow ticking I used for my Six Trousers. It was actually a black stripe on white fabric, which I had to dye yellow. 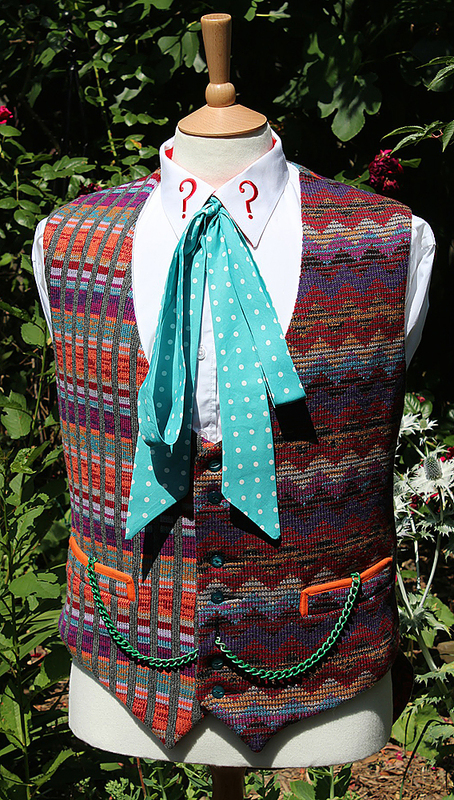 They also have a wonderful collection of traditional style printed cottons and wool suiting fabrics, as well as a wide range of unusual buttons. I like their simplistic window display of squares of fabric hanging by wooden pegs on washing lines (see left), as well as a hand-crank (though not Singer) sewing machine in the corner. Further down Berwick Street is Textile King, who specialize in suiting fabrics. They were established in 1971, and they look it form the outside, thought the interior is much more inviting (see right), being a mix of traditional and modern design reminding me more of an old fashioned gentleman’s outfitters. 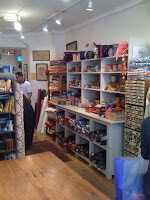 When I need to get some professional fastenings, there is nowhere better than Kleins on Noel Street. This is where I got some top quality Hook & Bar Trouser Fastening that I have used on all the trousers I have made. Most suppliers sell a hook & bar that has to be sewn on, screaming of home-made efforts. The type Kleins sell are a four-part nickel fastening with spikes that pierce the fabric and have a backing plate around which the spikes are bent. The finished result looks high street professional! The shop I return to the most consistently of all is MacCulloch & Wallis at 25-26 Dering Street, yes you guessed it, in London. They have an excellent fabric range on the ground floor, with all weights of interfacing I would ever need as well as the special pocket fabric I use. Upstairs is their haberdashery supplies, with all manner of ribbons, zips, cottons, tools and equipment, though their range of buttons has never quite cut it for me. Their prices are keen and the staff are always more than happy to help and guide you, and have often given me advise on what fabrics I should be buying for specific purposes. The final store I use is a relative new one to me. William Gee are located at 520-522 Kingsland Road and are one of the out of the ark shops that have just not changed since the 1970s despite the relentless march of high street trading. The decor leaves a lot to be desired and the shopper experience is not as slick as many of the others I have mentioned, but their prices are also from the 1970s, and I have picked up numerable bargains here, which is always refreshing. I am sure there are other such shops out there, they just need to be rediscovered. These shops are great to use: if you have an idea and don’t quite know how to achieve it, the staff in shops like these are always on hand to gave advise and steer you in the right direction. 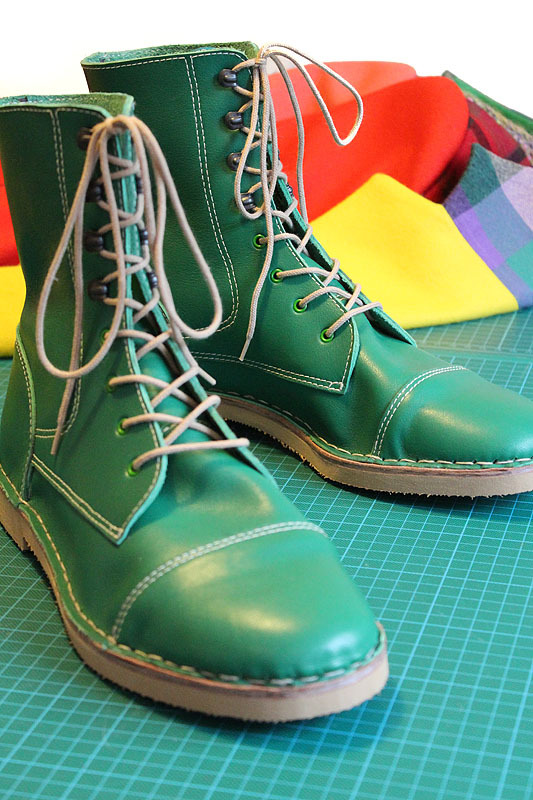 they are often dress-makers themselves, so have first hand experience of working with fabrics. They have a passion for what they are doing and are an untapped resource waiting to be utilized. I love em!